The below listed East Grand Forks Park shelters are reserved on a first come, first served basis. Some parks have more than one shelter available. No advanced reservations made until February 1st of the current year. or visit the EGF Parks & Recreation office at City Hall Mon.-Fri. from 8:00 a.m. to 5:00 p.m.
Park features an indoor facility, which is available for rent. 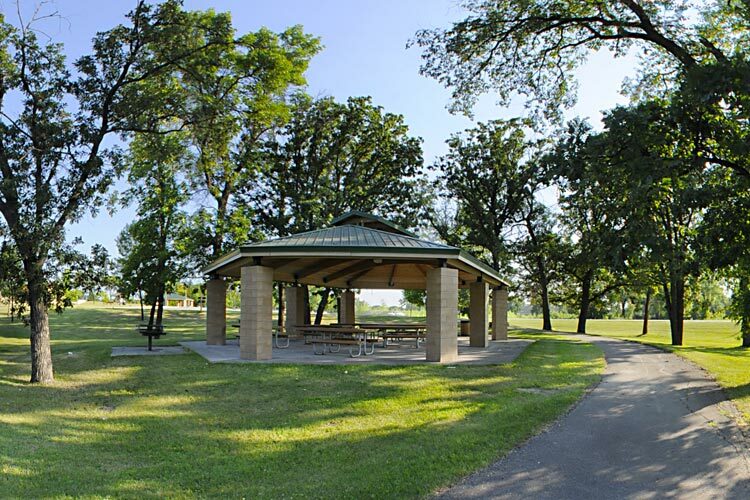 River Heights Trail Head is available for reservation through the Red River State Campground. To Reserve, please contact the Campground office at (218)773-4950.